Select a package that best fits your needs, and in just a few clicks register both yourself and your organization. 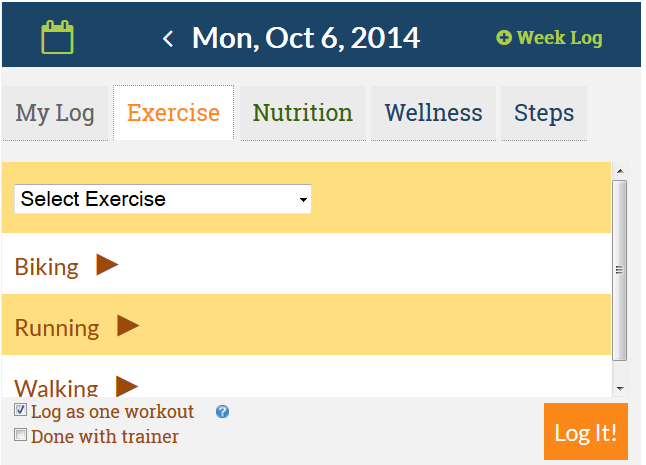 Remember, creating a DailyEndorphin account is FREE! Payment is not due until the first week of your challenge or one month into your wellness program – if you’re not satisfied, don’t pay! If you selected our customizable scheduler and tracker, then you can immediately begin scheduling your events and determining what’s required for what amount of credits. Remember, events (including group challenges) can be added throughout your program so no need to panic if you don’t have it all planned out today. 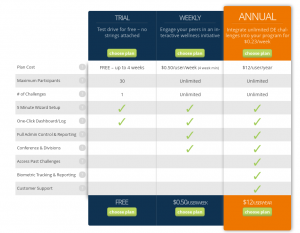 Choose one of DailyEndorphin’s highly engaging and effective challenges to engage your organization. Enter some key information, like a cool challenge name, a meaningful incentive and a start date, and that’s it … you’re done! You’ll have the opportunity to customize your challenge further if you like, or simply stick with DailyEndorphin’s recommended default settings for the maximum experience. Send the DailyEndorphin provided invitation link to friends and colleagues so they may join and participate in your wellness challenge or program. If users get stuck, just direct them to this quick video describing how to accept the invitation, create a personal account and start participating. Please note all user accounts are 100% confidential – only those individual data relevant to a group challenge are shared. 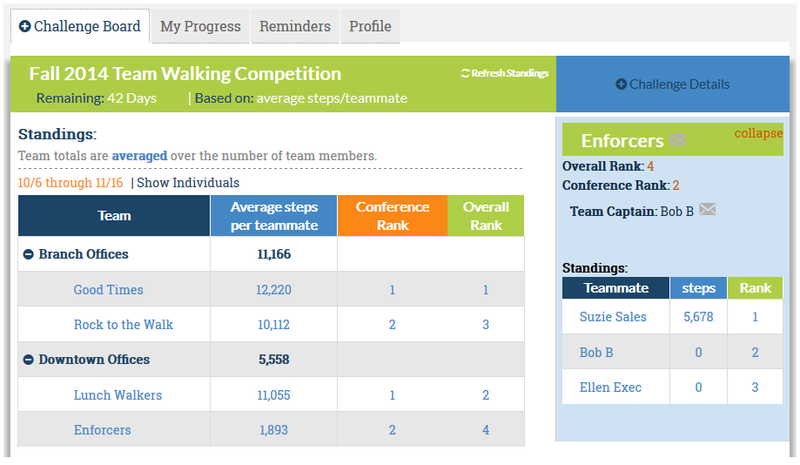 Participants log data daily and confirm event participation from their personal dashboard, and then watch their progress real-time. Don’t have a lot of time or not at a computer on a regular basis but have a mobile phone? Not a problem if you download and use our FREE Android or iOS mobile apps, where you can easily log and track key personal and challenge leaderboard data on the go, getting just the nudge you need to stay on track while taking up only a tiny fraction of your precious time! 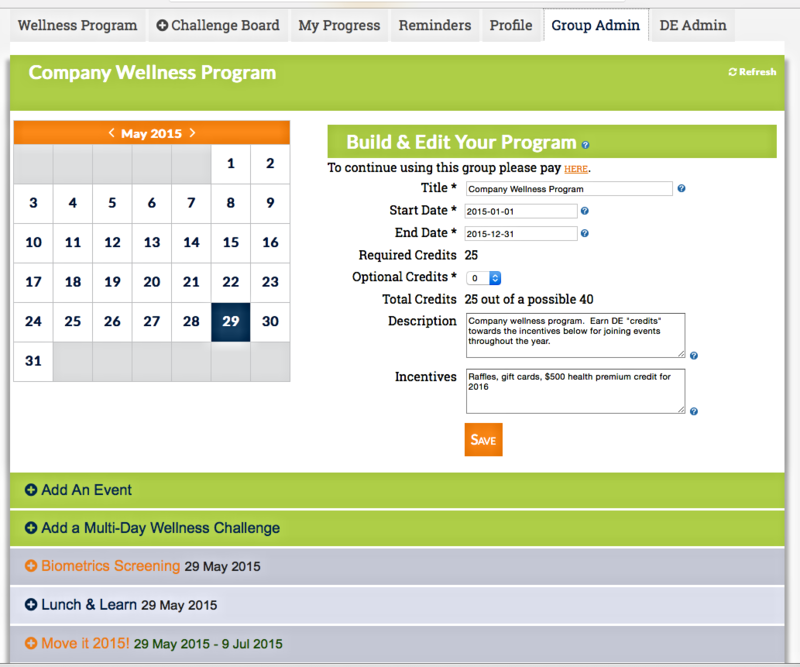 During the wellness program or challenge, updates occur real-time and are viewable from the users personal DailyEndorphin dashboard. For group challenges, weekly standings are also sent out via email to further motivate participants … CAUTION: it’s at this time the fun hallway banter and peer motivation escalates. At the conclusion, results are highlighted, along with other fun statistics. Challenges can be set up as a pure competition or goal format, and are based on whole weeks, with a user-defined grace period for participants to join following the start of the challenge. At any time, the group administrator can edit your challenge, assign admin rights to additional group members, message your group, and move team members. Teams may be organized into conferences and division, similar to a professional sports league (outstanding feature for large groups). The group admin may edit this structure at any time. 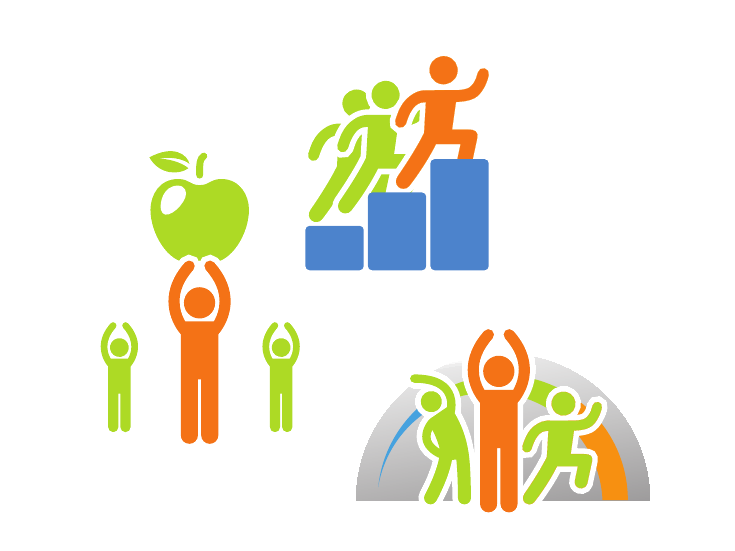 When joining a team challenge participants can join an existing team or create their own team for others to join. Captains can name and/or edit their teams. Challenge standings are hidden a few days prior to the conclusion of the challenge to discourage cheating and create suspense.